My little brother asked me the other day if I “even knew all the songs on my iPod?” I like to think I do, but in all honestly, there is a great deal of music on there that I don’t know – I told him no. I mean, I know of all the songs – somebody had to put them there – but to try and say that I know all 10,000 plus songs would be a pretentious lie. This has it benefits and draw backs; respectively, I have a boat load of music, yet, sometimes I have to click through my shuffle for a solid 30 seconds to a minute just to find a song to listen to. Although, the best thing about having too much music is when those random songs you don’t really know well come on and rock your socks off. Like, “Whoa! What is this? 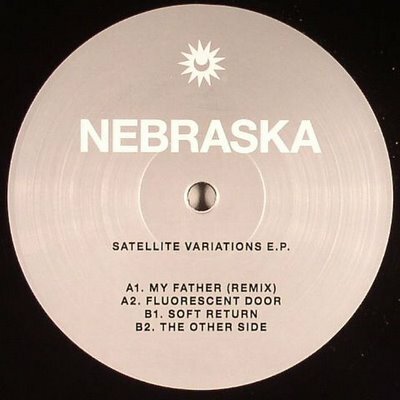 !” This is what happened with “The Other Side” by Nebraska. The iPod was on shuffle, I was driving, skipping through songs, and BAM! I got hit with the radness. I don’t know where I got this song and I’m not sure of the specifics of who Nebraska is (apparently some guy named Ali Gibbs). The one thing I am sure of is “The Other Side” is one hell of disco-house track. After that first listen I was hooked for a couple weeks, constantly coming back to sing along and bob my head. Check it out below and tell me what you think.